As the days and nights of summer roll on, we spend more and more time outdoors. 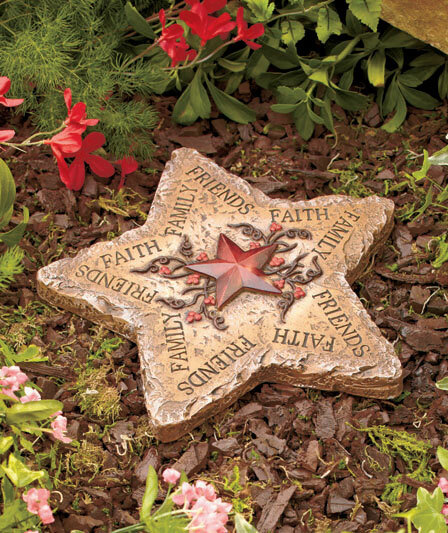 Make your yard as much of a showplace as the inside of your home with beautiful stakes, steppingstones and solar lights that make the evenings glow. Here’s the Lakeside Selection: our choice of favorite items for the week. The cool shape of this Set of 2 Color-Changing Solar Lanterns gives your yard a modern look while casting a rainbow of colors in the darkness. Be a greeted by an inspirational message and sweet harmonies every time you walk outside with this Wind Chime and Steppingstone Set. 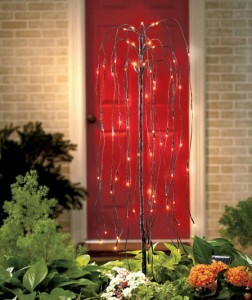 Brighten your yard or garden all year long with a Solar Lighted Willow Tree Stake. 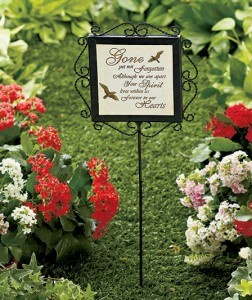 Decorate a peaceful site with a Memorial Garden Stake. 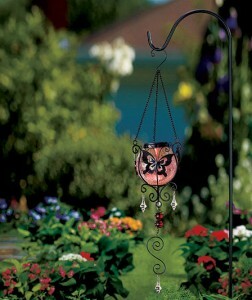 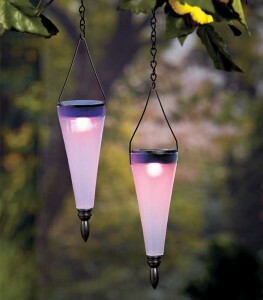 The enchanting Solar Hanging Garden Decor decorates your garden with beautiful colored light at night.